Will The Mystery Of Bigfoot Ever Be Solved? As each day passes, an unsolved legend continues to pervade the human consciousness. A legend that has spanned countless millennia. The legend of Bigfoot. Known by many different names in many countries and cultures but the stories all bear striking resemblances. A larger then man, bi-pedal creature covered in hair that roams the deep forest. How can something of this size and stature still to this date be avoiding us? With all the technology at hand, be it trail cams, night vision, high definition cameras, we still have yet to produce anything conclusive. Are we inching closer to proving the existence of Bigfoot or are we just chasing our tail? Is this perhaps a mystery that will never be solved, or is the final proof just around the corner? I'm sure in 1967 after the Patterson film was released people thought they would find conclusive evidence shortly thereafter. And here we sit, almost half a century later.. waiting.. for that one final moment of closure. What do you think? When do you think the mystery will be solved? related post: Why is Bigfoot So Afraid of Us? I think Bigfoot will be found in the least likely way possible. 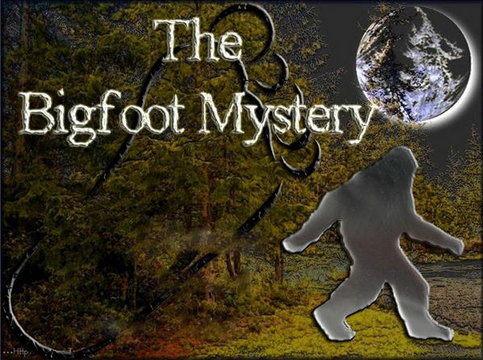 With all the people out there active searching for bigfoot, it will be a straight-laced christian, driving down the highway listening to a audio book about how evolution is wrong who hits a bigfoot with his car by accident and kills it. He will report it to the local police in a podunk town who will then call foxnews because they want the 5 mins of fame. Then and only then will we know for sure. Rick Dyer killed one, where have you been for the last 9 months? I'd like a Bigfoot Press Conference. He emerges from the wood with his family, stands at the podium, allows a few pics, announces clearly "We are here." and disappears back into the brush. Perfect. It's looking more likely that there just might be something to the interdemensional concept also cloaking theory. Cause theres no doubt in my mind that the P/G film is the real deal. There's something out there. We as still people have a lot to learn about this world and what's around us. Yeah I don't rule anything out since we haven't documented the species yet. But if they can cloak why didn't Patty cloak? You would think it would be the perfect time when an armed man is dismounting off his horse from 90 feet away.